If you remember, not too long ago I had the opportunity to host a Barbecue with some friends and family. You may also remember I said that the food was a delicious big hit, however there was another star of the evening and that would be a Flavored Lemonade Bar. You may have noticed it in the background of one of the pictures. I have been dying to share this fun idea with you!! 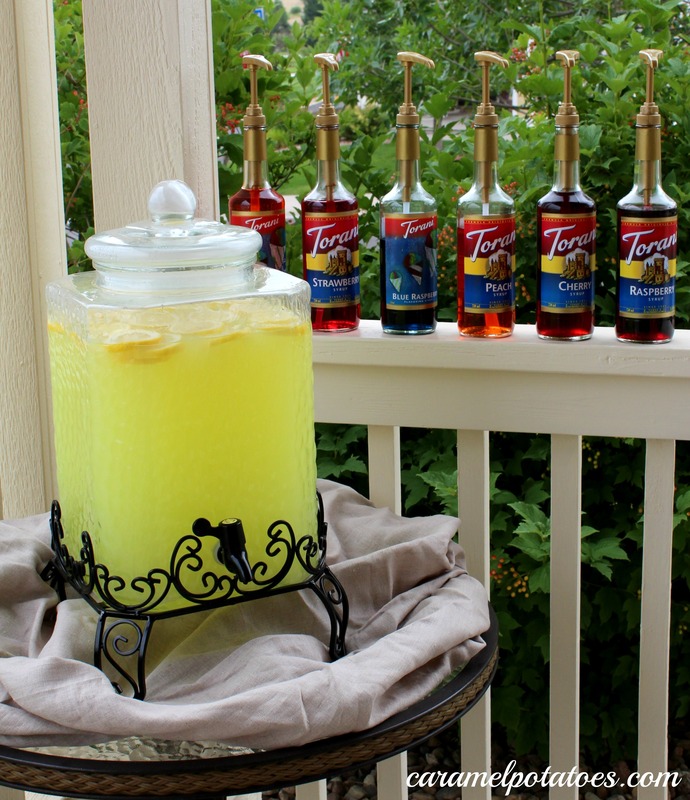 I know we often think of lemonade as a summer drink, but I promise you could serve this year round at baby showers, family parties, Bunco night; I think you get the idea. No matter when you serve this people are going to LOVE it. 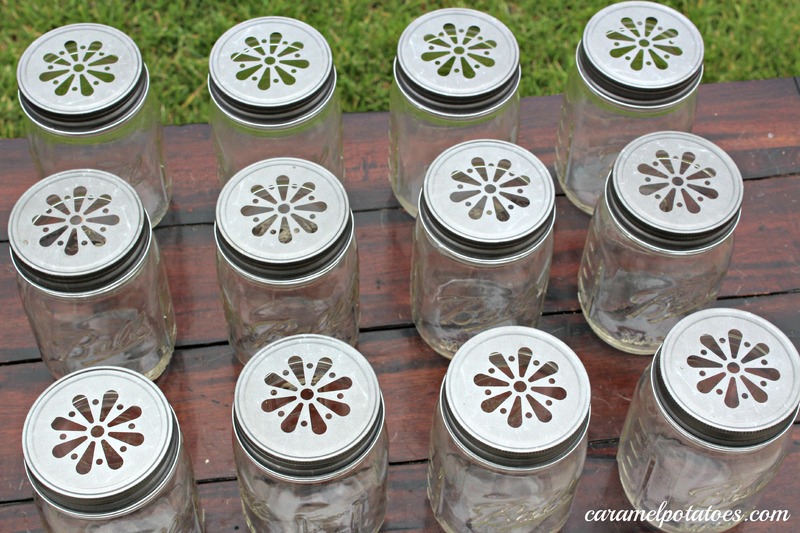 Of course, you are going to want an amazing statement in your drinkware and aren’t these mason jar lids just adorable. Mason jars are so fun to drink out of for some unknown reason. I have found these lids all over Etsy, so be sure to take a look there for them. Just add some fun paper straws and you have a party going on already. 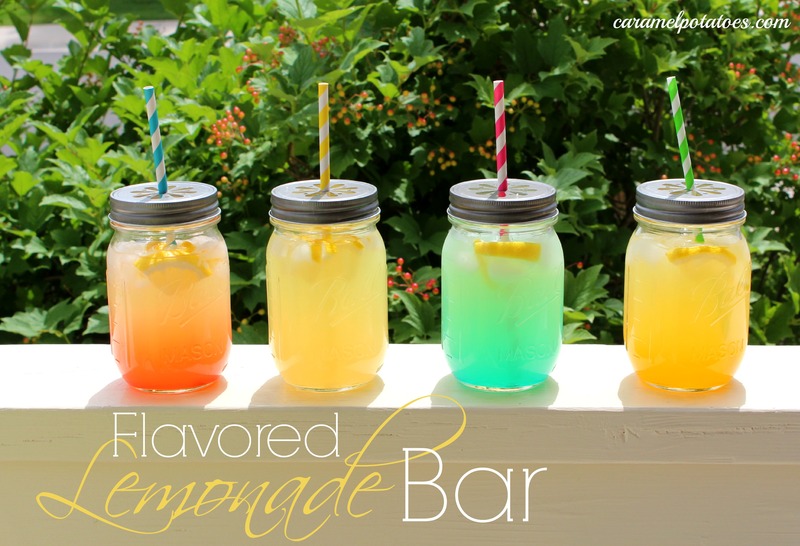 Find a spot, line up your flavors, your cute little mason jars, and a lot of lemonade. Use your favorite lemonade, it doesn’t need to be a fancy homemade variety, because we are going to flavor it up anyway. 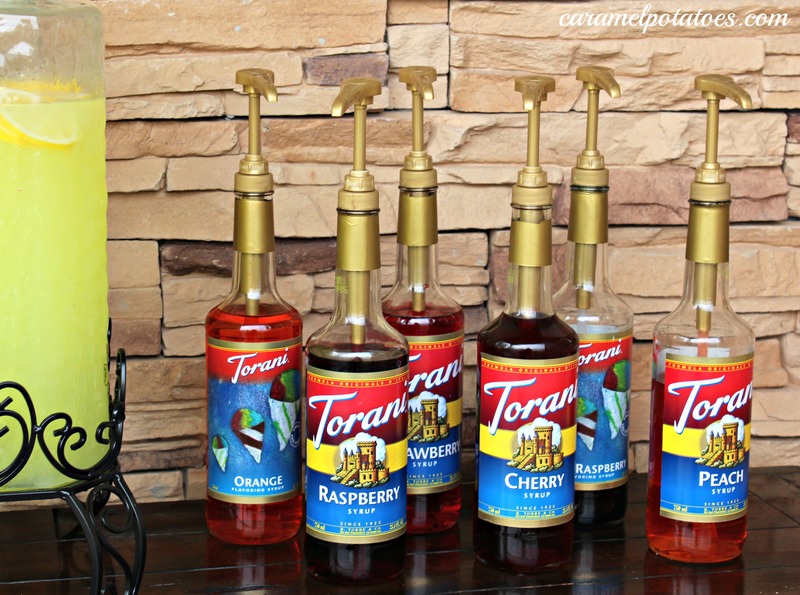 To be honest I used a mix, and you couldn’t even tell after you add the syrups to it. Float a few lemons and some ice in there and you have it. Of course, if you want to get really crazy you can have fresh fruit to match your flavors to throw in your guest drinks. 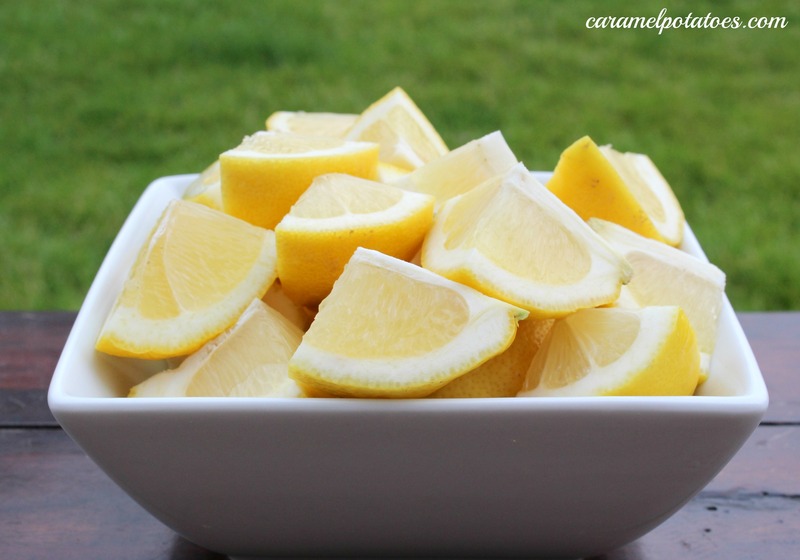 Lemons are always a good idea, and then depending on the flavors you are offering just go with that. This is perfect for my sister’s baby shower next month – Thanks! OMG why didn’t I think of this before? This is so fun! Fabulous idea! So colorful and pretty! Looks refreshing! Such a fun idea! Love all the flavors! Thanks for sharing at Sweet & Savory Saturdays #26. Thanks for linking up to Gingerly Made’s Show & Tell. You’ve been featured! Thanks for sharing your sweet idea!